Your friends who’ve already visited Venice and arrived by train will tell you: your destination is the Venezia Santa Lucia station, not Venezia Mestre. When it stops, you’ll notice the entire train will empty out, and if you don’t get off, the conductor will remind you. If by some error you do get off at Mestre by mistake (remember, if you haven’t crossed water, you haven’t reached Venice), don’t worry: every train that comes or goes from Santa Lucia also stops at Mestre. Just scan the Venezia-only overhead departures board — it will list the next trains to the city. Rail may be the simplest of all arrivals. If yours is a longer distance train, you’ll simply exit the train and head for the building. If it’s a regional train (which arrives on platforms 14 and above), you’ll head to the left at the end of the tracks to enter the station building. Once you exit the station, you’ll be looking at the Grand Canal. Worth Noting: If you need cash, there is a bancomat (ATM) to your left just before you exit the right-hand set of doors. Worth Noting: If you’d prefer not to bump down steps with luggage, there’s a ramp that runs along the outside of the station building (to the left with the tracks to your back, on the right facing the station entrance). From the station, you can either walk to your lodging (cumbersome with luggage unless by some chance your hotel is just around the corner), take the vaporetto, or pick up a water taxi. • WALKING WITH LUGGAGE. It pays to scan a map of the city to spot both where the train station is located, and your lodging. If you’re intent on walking, stake out a path that involves as few bridges as possible — any local will tell you that the weight of whatever you’re carrying will double automatically after crossing the second bridge. Have the phone number of your lodging handy — a few wrong turns with luggage can challenge even the heartiest of travelers. Line 2 landings are along the waterfront to the left as you exit the station. • PRIVATE WATER TAXI. Unless you have booked a private taxi in advance, you may pick up a water taxi directly in front of the train station. Make sure you know where you’re going and where you should be let off, especially if you’re not staying in one of the better-known hotels. If your lodging has provided you with map, show it to the driver to prevent him having to guess…or leave you where he feels like it. Train station departures are (knock wood) less complicated that airport departures, both because there is no check-in, no security lines, and the station is much handier than the airport as far as location is concerned. All you’ll need to do is walk (use Google maps to get you there), or determine the most convenient departure vaporetto stop to the destination Ferrovia, or railway and the time it will take to arrive at the station, or book your private water taxi. 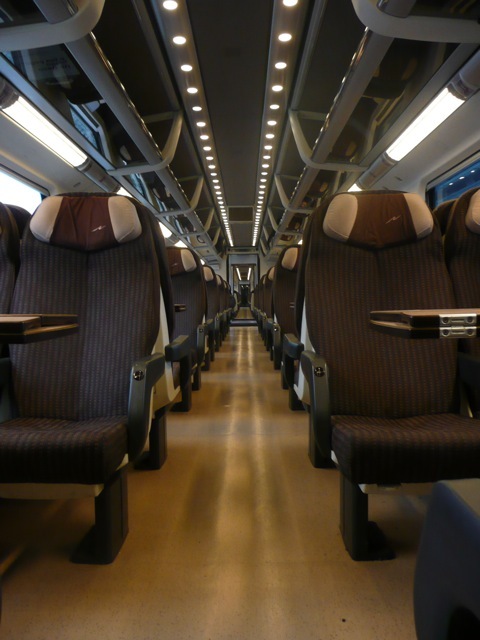 If all you need to do once you arrive at the Ferrovia (train station) is get on the train, arriving twenty minutes to a half-hour prior to departure time should be sufficient. If you’d like to shop or grab a sandwich for the train before you board, allow more time.